Naga City of Camarines Sur is a beautiful place where tourists can enjoy a lively natural getaway. Visitors can experience a couple of waterfalls, mountain trekking and biking or even hot spring resorts. Truly an enjoyable place to have a memorable journey. And of course, it is also a home of Bicol’s finest food and restaurants. 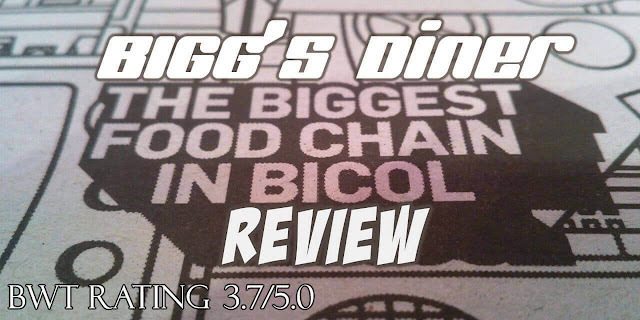 In this post, we will talk about a Naga restaurant that serviced us when the Best of World Travel went to Caramoan with other travel bloggers, the Bigg’s Diner. 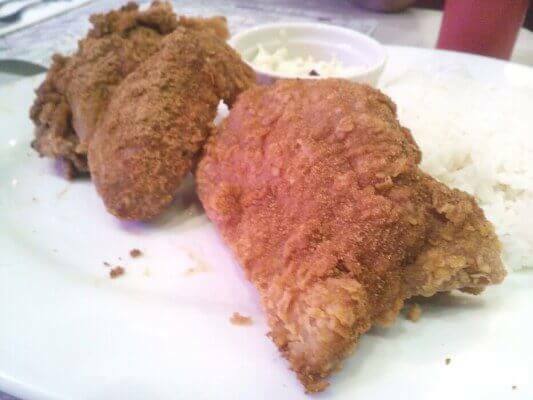 Near a sharp turn, Biggs Diner can be located just a few meters from UNC Library, BDO Naga-San Francisco, Plaza Jorge Barlin and a few Naga restaurants such as Jollibee, Chowking and McDonald’s. For those who wants to withdraw money from their banks and ATM accounts, several ATM machines are all over the place such as BPI, LandBank, Producer’s Bank, and BDO. The Nagaland E Mall as well as the popular supermarket Puregold Naga are also just a few minutes away from the said restaurant. 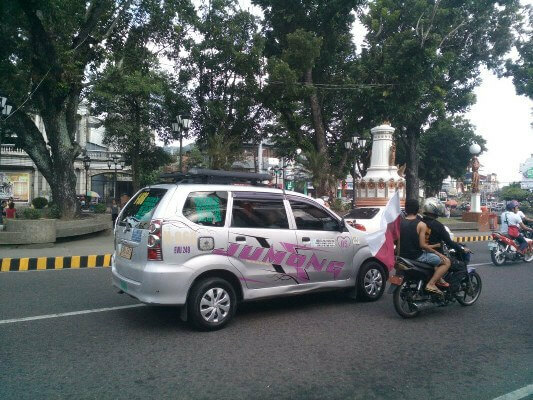 It was past 12 noon when our group arrived at Naga City after our Caramoan tours and getaways. 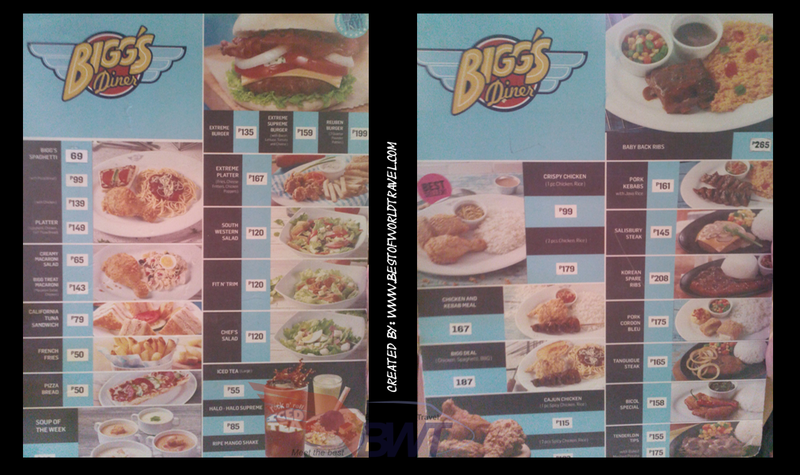 We bought a couple of souvenirs in the center of Naga City and just a few minutes, we arrived in Biggs Diner. At first, the restaurant seems to have a small front appearance, but when inside, the establishment was designed to be rectangular. It had a wide body but small in front. Even so, there was a somewhat VIP room that catered our whole group. 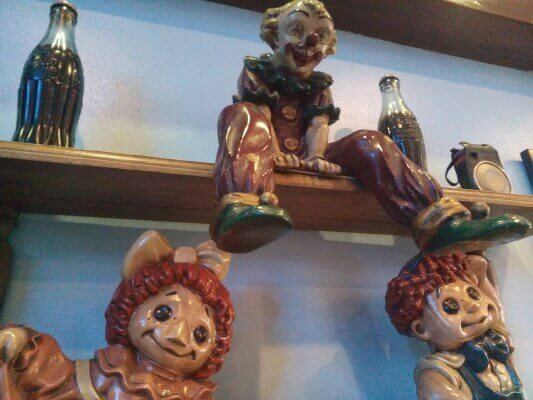 While inside the restaurant, the vibe of pure nostalgia will knock upon your heart. The whole restaurant was full of photos, paintings, figures and artworks that will remind you the 80’s. Yes, the 80’s. It may be a bit old, but it was amazing. The artworks were particularly highlighting music, musicians, cars and sports. You can see a few Elvis Presley’s photos, 80’s cars, colorful lights, t shirts, a skateboard as well as a big bike! 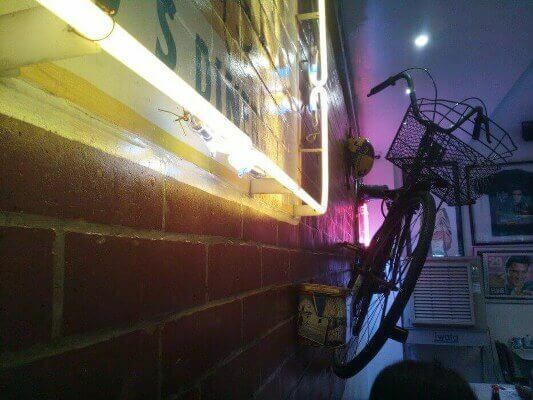 That big bike was awesomely placed on the wall. You may call it, old school! When dining in a restaurant, the first thing that must be checked is the tidiness of the whole establishment. This may reflect on the foods that are served in the whole establishment, and Biggs Diner showed us the true meaning of being clean. Their facility was neat and tidy, there was also a crew that was constantly mopping the floor to impress the new customers. The utensils that we used were neatly washed and did not show any kinds of misconduct. The foods were equally the same, no unnecessary “guests” and whatnot. The tables were dustless and gave me no sticky feeling. The whole establishment is air-conditioned and the ventilation wasn’t also a problem. Even though everything was almost perfect, their wash room only had a decent rank in terms of being neat. They can be grouped into above average in terms of the rest room’s cleanliness. 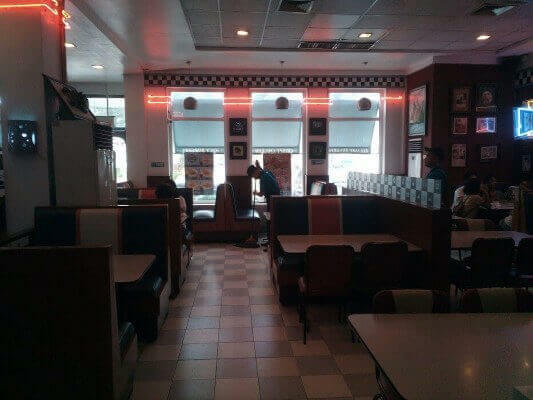 When we ordered our food, the crew members were very polite and commendable. They even gave us some free foods because of our huge amount of orders. But they served us the food for too long. We waited and waited for minutes until our stomach shouted. Well, I guess they were thoroughly cooking our orders. I was thinking between the 2 pcs chicken or the Korean Spare Ribs. Remembering my Texas Joe Restaurant’s dinner, I took one order of the Korean Spare ribs, since I really really want to eat those yummy dish again. I waited for 5 minutes and nothing came. Ten, and I was talking with other people. Fifteen and my stomach starts to call for an attention. Twenty and everyone seemed to have all of their orders. Twenty five, some are already enjoying their meals. Thirty and I got full with the smells of different dishes on the table. But then, it still arrived in front of me after a long wait. I was the last to get a hold of my lunch though. The photo shown to me seemed to have a large part of a pork. But the one served to me seemed to be longer. Even so, the color of the pork showed an intense juiciness that lingers upon it. As I dip down my fork and knife, the tenderness of the meat resides from every corner of the pork. It was so easy to slice. I tried to taste the spare ribs and an intense spiciness and very extreme saltiness punched me in my cheeks. The thick, and rich wildness of the meat’s flavor were overflowing in my entire body. I could smell the intense fragrance that the dish emitted as I slowly enjoyed my meal. But the graduation of deliciousness was ruined because of the extreme saltiness that did not stop punching me in the insides. The continuous and non-stop bombardment of its hidden flavor took a drawback that made the dish’s overall performance to be ruined. In the end, I instantly ate everything and took a huge amount of water afterwards. The crispiness of the chicken’s skin are all over the platter. It was a mesmerizing sound that will hit your eardrums, and the smell were tingling through my mouth and nose. It was an awesome experience munching one of these. But the bothersome saltiness was also present on the legs as well as the wings that I have tasted. The spiciness that should have been killing the saltiness was easily defeated and knocked out. Just like my Korean spare ribs, I was disappointed. Since we were in a group, we had the luxury of taste tasting every food that we have ordered. 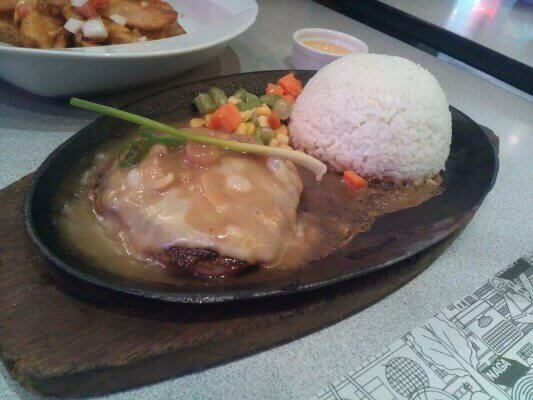 We can ask a pinch or even a few pieces to check out how their dishes compete with other Naga restaurants. Their french fries were short, thick and soft. Unlike from other fast food restaurants with long, thin and crispy. The amount seemed to be just fine, and you have the luxury to dip it in a cream. Probably an onion cream with a touch of some fresh tomatoes and onions itself. 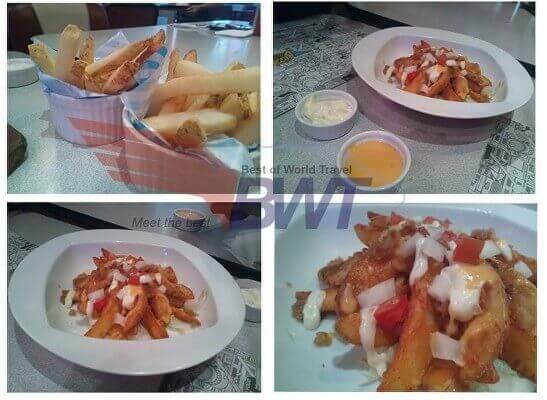 It felts like normal french fries that can be eaten in any other restaurants. But for a price of 50 Pesos ( $1 USD) it can be a great deal to satisfy your needs. There were two versions of the french fries, but I think they just both tasted the same. If any, they could have just a slight difference in saltiness. The pizza didn’t also marked in my heart. It tasted normal. The juiciness and creaminess of the whole pizza bread was normal. The toppings were normal. Just everything was normal. I haven’t had even single bite in this dish. But it looks very promising, especially its sauce or gravy. Just like other menus, its rice is massive compared to other restaurants in the Philippines. It was somewhat of a brownie and an ice cream. 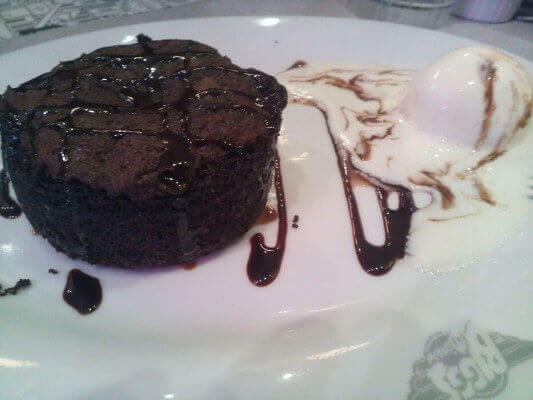 One plate will be shared by around three to four guests, But I still had a taste of the brownie and the ice cream. The brownie seems to be normal as well. Its sweetness and the bitterness of the chocolate’s cocoa did not match and I did not liked it. While the ice cream was so tiny, I still liked its taste. It was amazing, but it was alost melting. I think that it should have been better when we ate it right after serving. 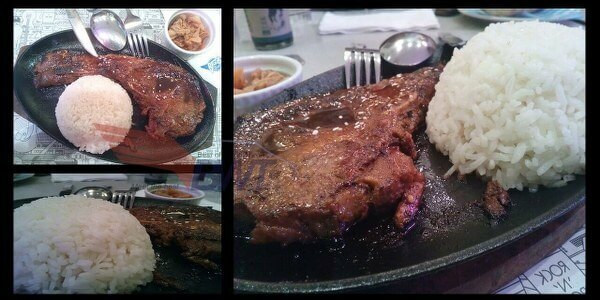 While Biggs diner offered a numerous amount of dishes in their menu, I could not stress enough the saltiness that were present in most of their main dishes such as the chicken and my order, Korean spare ribs, considering that most of Korean’s cuisines cling more on the spicy side. I give their menu or foods rating to be slightly above average. If we will compare the amount of food to price ratio, then they have it all right. A mere $ 4 USD will surely make your tummy contented. People living on above average lives can easily dine here every now and then. Their facility was superb. The design and accessories that you can see everywhere were marvelous. I really liked their 80’s theme, it gives a different vibe and ambience while eating inside their restaurant. The whole thing was clean and fresh. I could not praise more regarding their cool and clean environment. But their toilet needs more attention at hand. Accommodating and very kind. They gave us warm welcomes and friendly tones. Their customer service were top notch. Nothing beats a shop with amazing customer service. A stunning 3.7 stars will be our BWT Rating. Just a few points to reach four stars out of five. Considering that this is one of the biggest food chain in Naga or in the entire Bicol region, they gave us a very good service and experience. But in my opinion, their menu’s taste must be greatly enhanced and improved. Visit their official website, and Fan Page for latest news and updates. Contact the restaurant for inquiries especially reservations for groups. This is to give you a better seat or room. Parking will be a challenge at peak times. They only have a small parking area right in front of the restaurant. Around 4-5 cars can only park. There are plenty of hotels in Naga City. In just a few feet away you’ll easily find a budget hotel. Click the photo below to find the best deals in the town! No credit card needed, and you can easily pay at the hotel in some cases. This is an affiliate program by Travelbook PH, and Best of World Travel will earn a commission if you will book under our link at no additional cost in your end. There's something immediately dignified about this venue – it is beautifully designed, tasteful, and understated. Went to these comfy Los Angeles event venues recently, just the right temperature, good food and great experience.